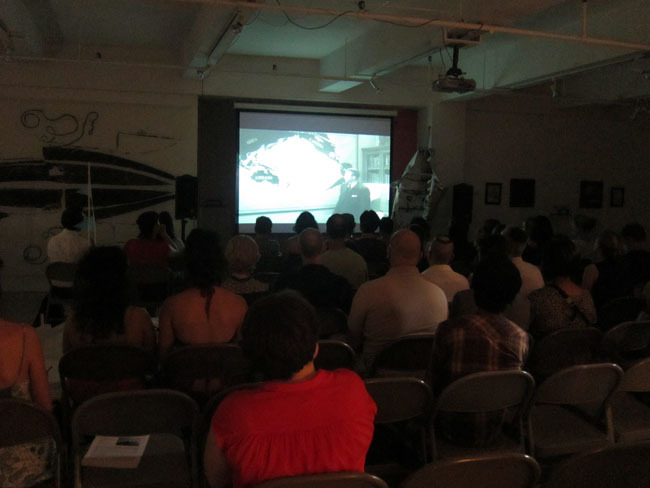 EFA Project Space is excited to host a rare screening of Kon-Tiki in conjunction with Sea Worthy: An Exhibition. Kon-Tiki, released in 1950, recounts Norwegian biologist-explorer Thor Heyerdahl's 1947 trans-Pacific expedition on Kon-Tiki, a hand built, forty-foot balsa and bamboo raft. The raft was named after Inca sun god Viracocha known in ancient times as Kon Tiki. This expedition aided Heyerdahl's theory that people from South America were able to settle Polynesia in pre-Columbian times by using simple-construction rafts, like Kon-Tiki, to navigate the Pacific Ocean via the Humboldt Current and easterly trades. Kon-Tiki, captured in black and white, shot on a single 16mm camera, and filmed by the crew, documents the six Scandinavians aboard the hand-crafted raft and their encounters with sharks, whales, dolphins, and sailfish throughout the perilous journey. The documentary is the only feature length Norwegian film to have won an Oscar in 1950. It received the Academy Award for Best Documentary, and was nominated for Best Foreign Film by the National Board of Review in 1951. 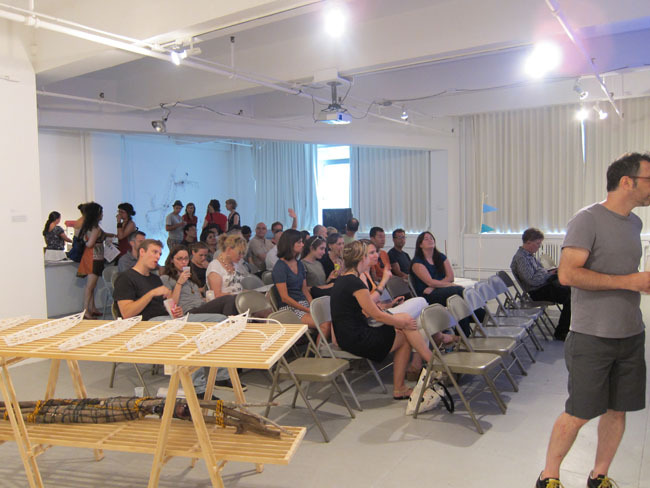 This aquatic documentary adds a deeper dimension to the discourse introduced through Sea Worthy: An Exhibition, which draws on the creative significance of the hand built water vessel. 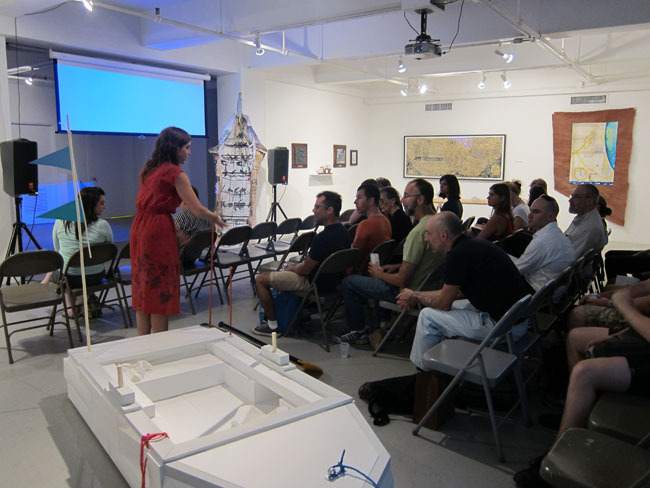 It touches on historical contexts of intercultural navigation, channeled through Michael Arcega's national waterway expeditions; immigration or settlement reflected in Rachel Bacon's full-scale Cuban immigrant raft; high endurance sea voyages like Reid Stowe's record-breaking 1,152 days at sea without docking or re-stocking; and floating cultural environments constructed from detritus material and navigated by Swimming Cities. Please join us for this special screening of 101 suspenseful days of traveling 4,300 nautical miles aboard Kon-Tiki! Popcorn and other refreshments will be available the evening of the screening.